Lukas is reuniting this group that debuted at the Firehouse Space in Brooklyn back in April. Featuring: Lukas Liget, drums; Travis Sullivan, alto saxophone; Thomas Bergeron, trumpet; Shoko Nagai, piano; Michael Bates, drums. 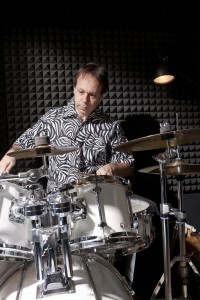 All original compositions from the prolific composer/drum virtuoso Lukas Ligeti!